Do you use Firefox on multiple devices? 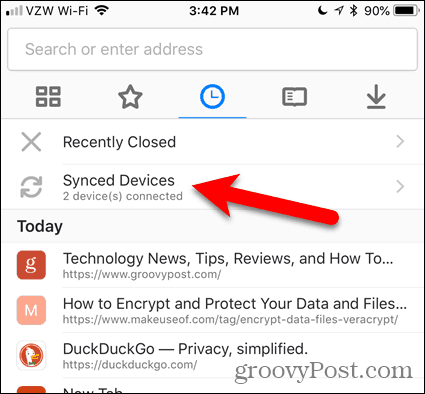 You can sync your tabs across devices using Firefox Sync and open them on any device. With today’s on-the-go lifestyle, most people switch among several devices to stay informed and connected. 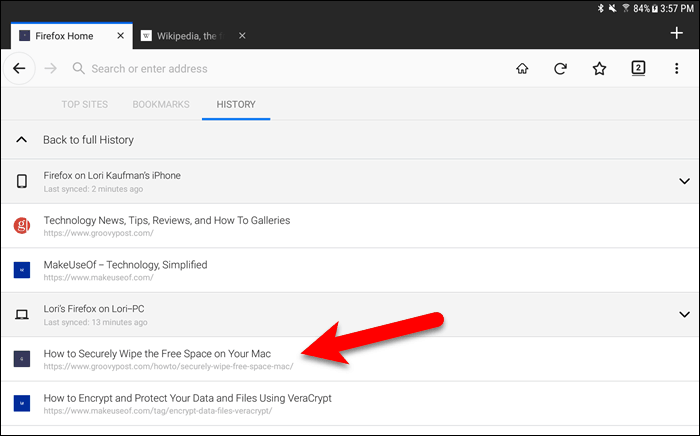 Luckily, you can continue viewing the same web pages in Firefox across your devices by syncing your open tabs. 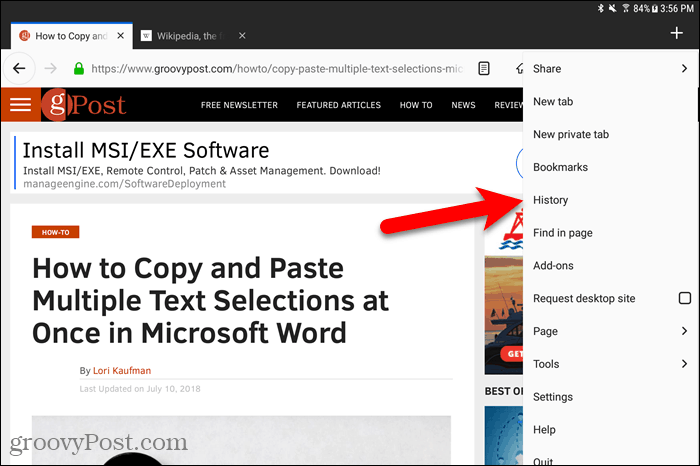 You can easily access a list of Firefox tabs open on each device and open any of those tabs on any of your devices. 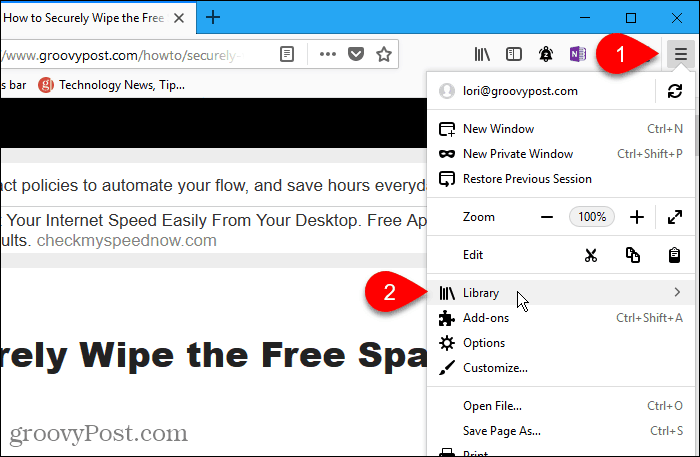 Today we’ll show you how to access open Firefox tabs in Windows, Mac, and Linux, and on iOS and Android devices. 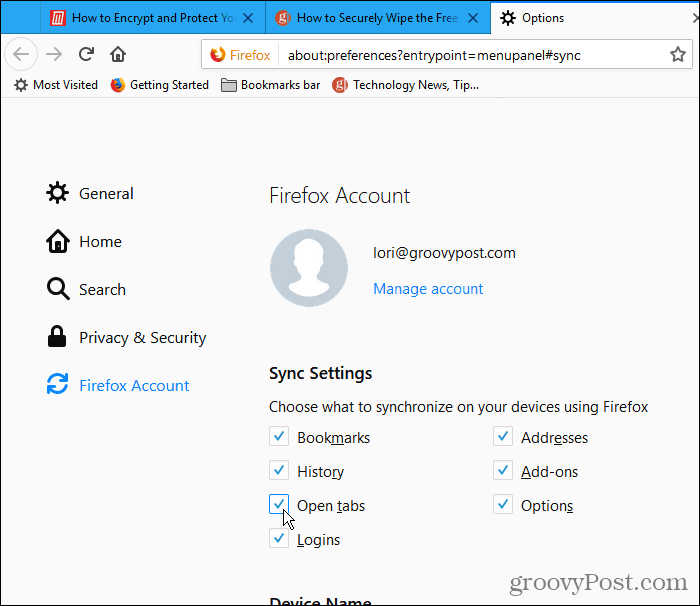 To sync your open Firefox tabs across devices, you first need to set up a Firefox sync account and sign in to that account on all your devices. If you’ve done that already, you’ll need to check whether you’re syncing your open Firefox tabs. We’ll show you how to check that on your computer and mobile devices. 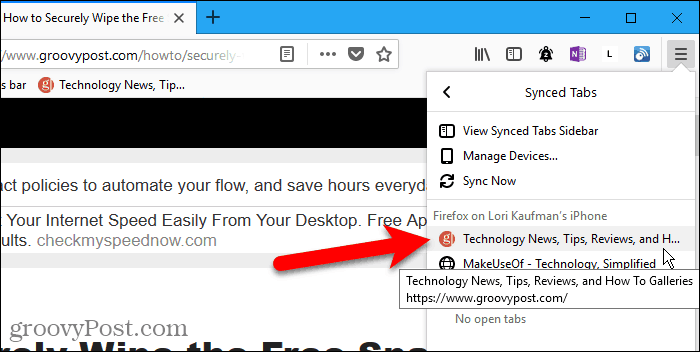 To make sure you’re syncing open tabs on your computer, click the Firefox menu (three horizontal bars) in the upper-right corner of the Firefox window and click on your email address. On the Firefox Account screen, make sure the Open tabs box is checked. 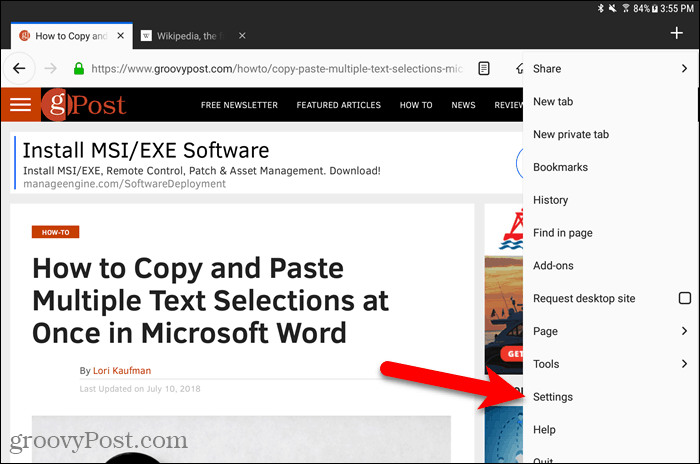 Once you’re syncing open tabs, you can access tabs open on other devices on your computer. 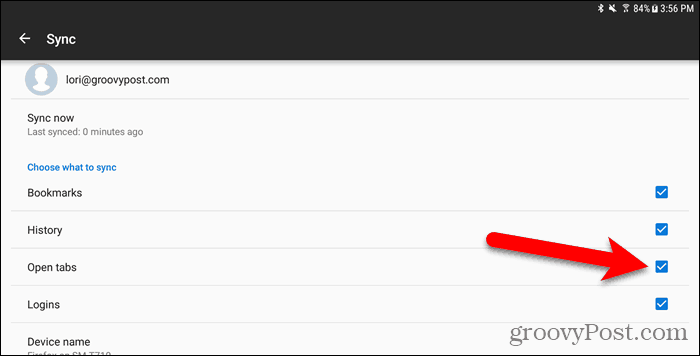 Click the Firefox menu (three horizontal bars) in the in the upper-right corner of the Firefox window and click Library. All tabs open on all active, connected devices are listed on the Synced Tabs menu. Click the web page you want to open from another device. The web page opens on the current tab. We show Firefox on an iPhone in this section and the next. But the procedure is the same on an iPad. 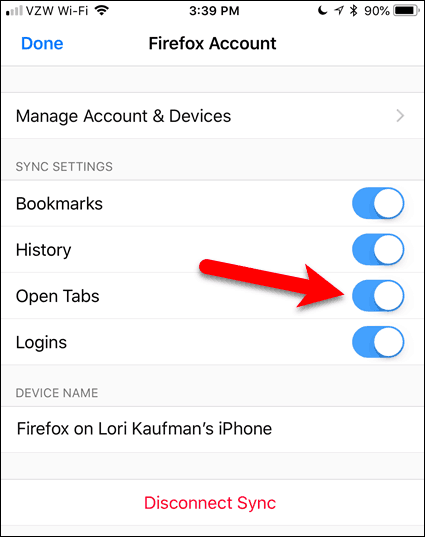 To access open Firefox tabs on your iOS device, you must first check that you’re syncing open Firefox tabs. 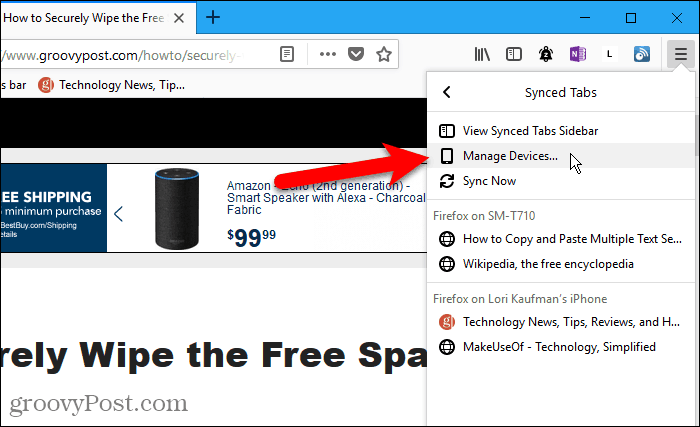 You can sync different items on different devices, so you need to check this on every device you want to access open Firefox tabs on. 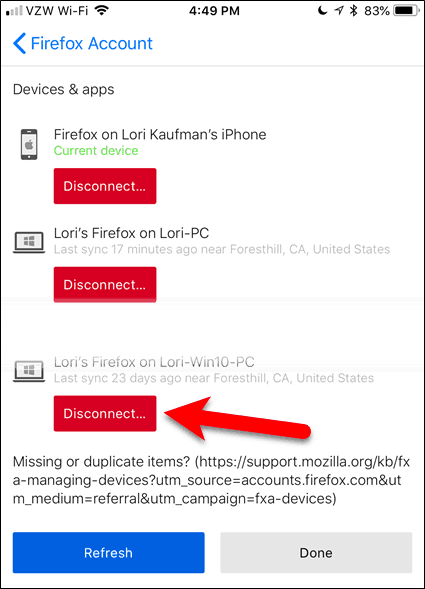 Open Firefox on your iPhone or iPad and then tap the Firefox menu (three horizontal bars) in the lower-right corner of the screen. Tap your email address at the top of the menu. 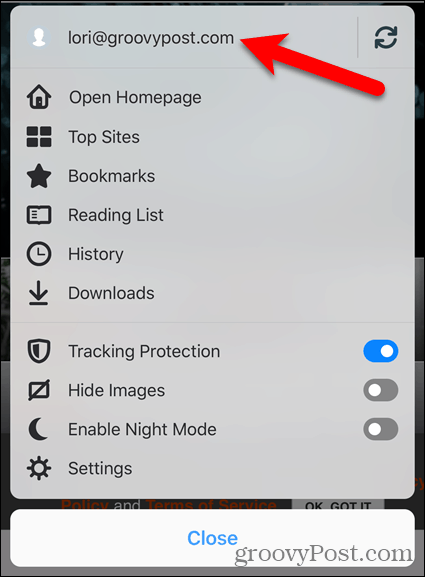 Make sure the Open Tabs slider button is on (blue). If it’s white, tap it to start syncing open tabs. Once you’re syncing open tabs, you can access tabs open on other mobile devices and computers on your iPhone or iPad. Tap the Firefox menu (three horizontal lines) in the in the lower-right corner of the screen and tap History. TIP: You can also access recently closed tabs on this screen. The Synced Devices screen tabs open on other devices. Tap on a tab from another device to open it on your current device. 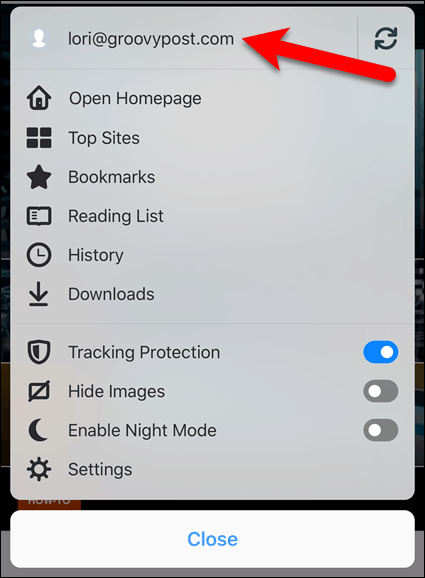 To access open Firefox tabs on your Android device, you must first check that you’re syncing open Firefox tabs, just like you do in Firefox on your computer and on your iPhone or iPad. Open Firefox on your Android device and then tap the Firefox menu (three vertical dots) in the upper-right corner of the screen. On the Settings screen, make sure General is selected on the left. Make sure the Open tabs box is checked. If not, click it. 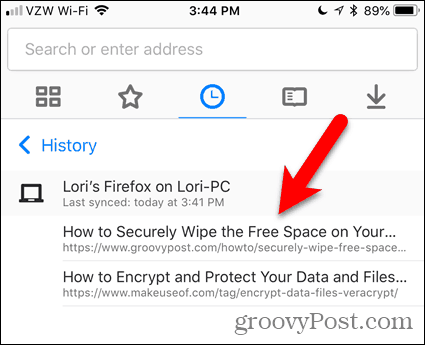 To access open tabs from other devices on your Android device, tap the Firefox menu (three vertical dots) in the in the upper-right corner of the screen and tap History. On the History screen, tap Synced Devices. 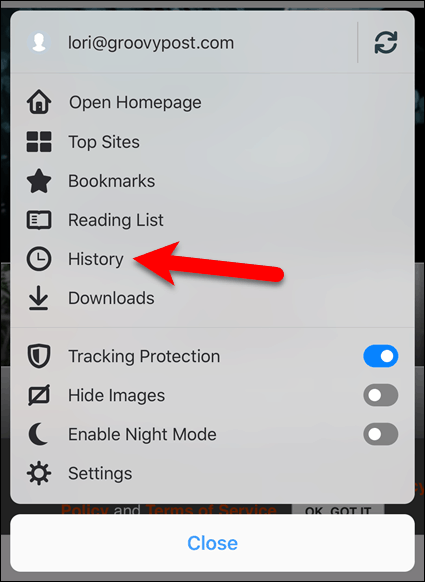 TIP: You can also use the History screen to reopen tabs you’ve recently closed on your Android device. You’ll see a list of web pages open on tabs on each of your active devices. Tap a web page in the list to open it on the current tab. You can manage the devices connected to your Firefox Sync account from your computer. Go to Firefox menu > Library > Synced Tabs > Manage Devices. The Devices & apps section on the Firefox Accounts page expands. A list of all the devices logged into your Firefox Sync account displays. To disconnect a device, click Disconnect to the right of that device name. There is no confirmation dialog box when you disconnect a device. 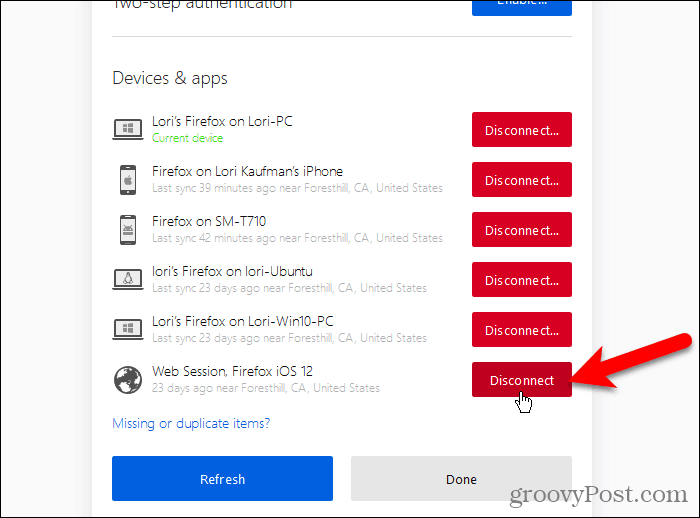 But you can always connect the device again by signing into your Firefox Sync account on that device. 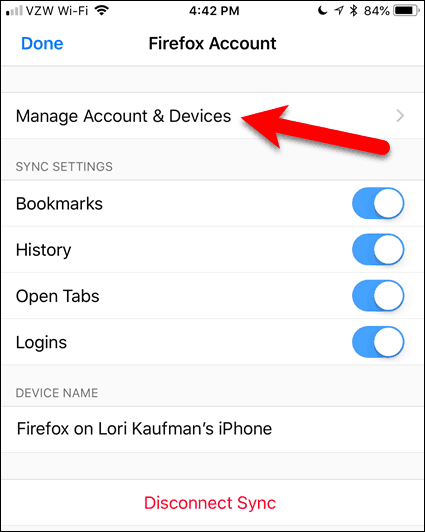 You can also manage the devices connected to your Firefox Sync account from your iPhone or iPad. Unfortunately, Firefox for Android does not offer this feature. Open Firefox on your iPhone or iPad and tap the Firefox menu (three horizontal bars) in the lower-right corner of the screen. Then, tap your email address at the top of the menu. 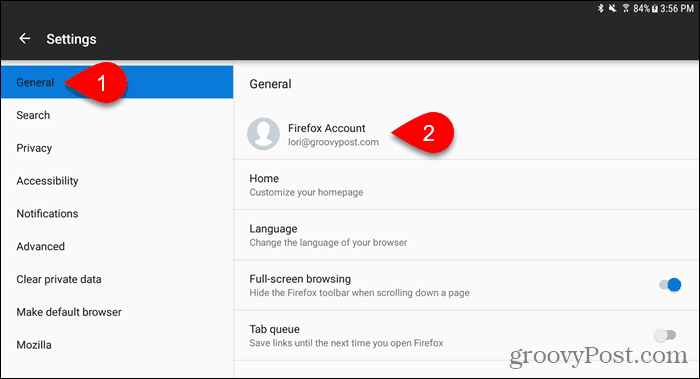 On the Firefox Account screen, tap Manage Account & Devices. Tap Show to the right of Devices & apps to expand that section. A list of all the devices logged into your Firefox Sync account displays. To disconnect a device, click Disconnect under that device name. Just like on your computer, there is no confirmation dialog box when you disconnect a device. 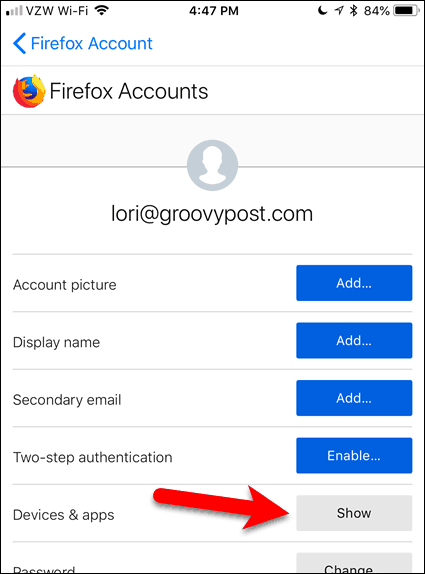 Sign in to that account on the device to connect it again to your Firefox Sync account. 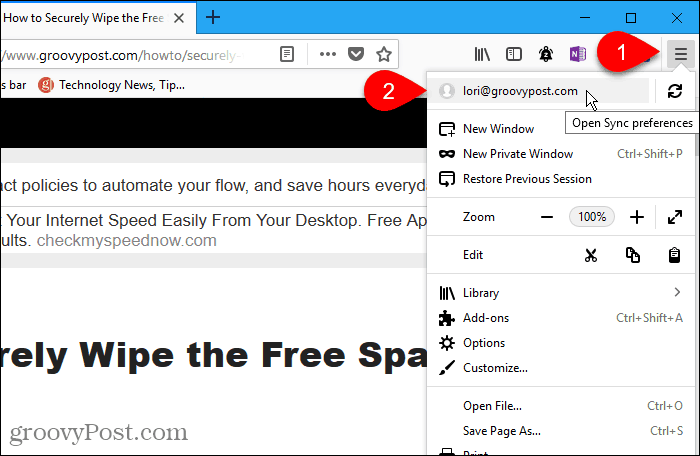 If you’re constantly on the go and switching between a desktop, a laptop, and a mobile device, Firefox Sync provides a seamless web browsing experience. Do you use Firefox on multiple devices? Do you find the tab syncing feature useful? Share your thoughts and experiences with us in the comments below!